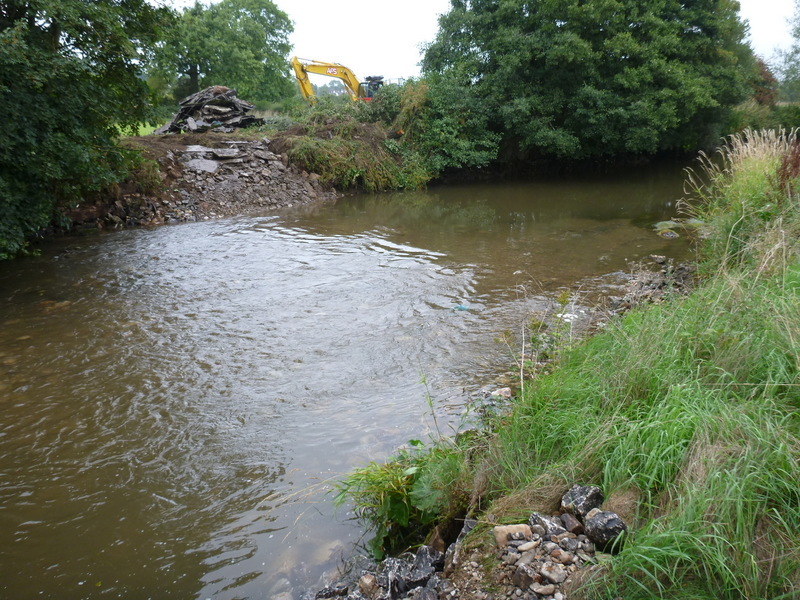 The Wild Trout Trust (www.wildtrout.org) has been working with partners on the River Dove and its tributaries to remove over fifty weirs in 2017-2018. The River Dove forms the boundary between the counties of Derbyshire and Staffordshire in central England. The Letting the Dove Flow project is taking place in the upper reaches of the River Dove within a nature conservation area (part of the Peak District Dales Special Area of Conservation). The aim of the project is to restore a natural river within this beautiful landscape. Since 2015, over 170 small weirs have been identified, catalogued and assessed for their heritage value. 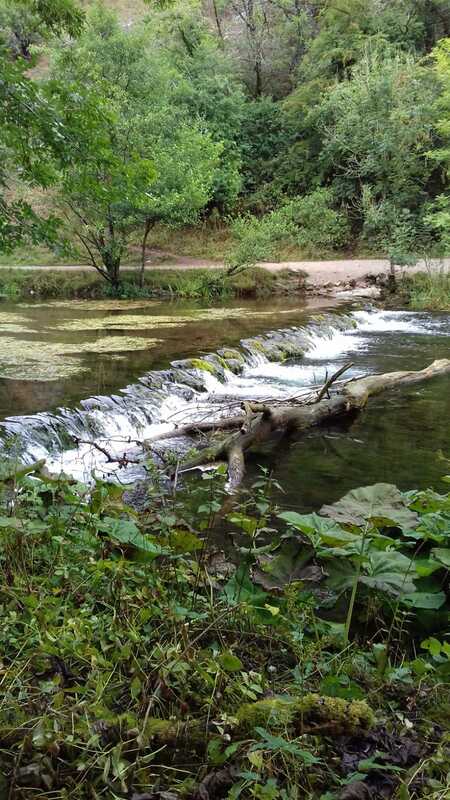 The area is very popular with visitors (over 400,000 visits per year to Dovedale) and many of the weirs have been in place for at least 150 years. In such a public location, explanation and interpretation of the work has been an important part of the project. Articles in the national and local press, and radio interviews have shared the aims of the project with a wider audience. 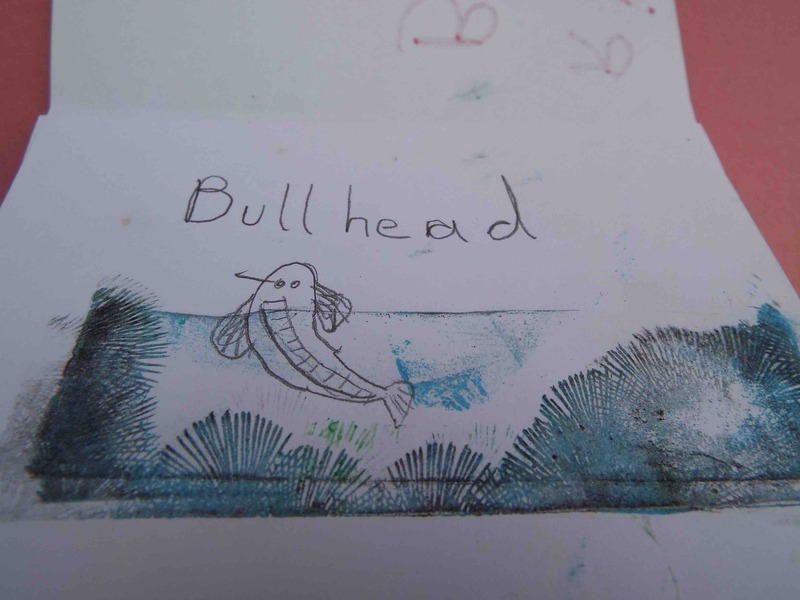 Public engagement days were held in the most popular visitor areas with a range of activities including river dipping and creative activities to engage people with the paintings of the valley before the weirs. 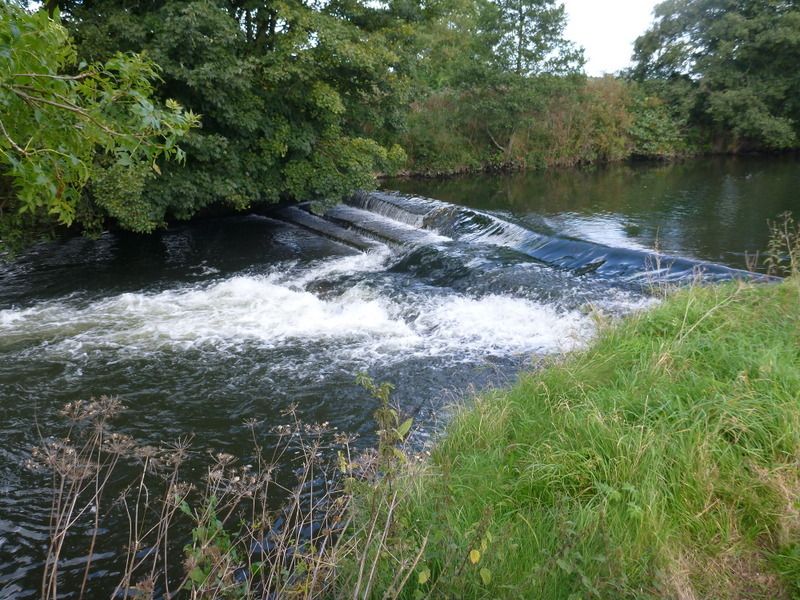 So far, eight of the largest weirs have been removed by volunteers from the local angling club and the National Trust (a national charity and one of the largest landowners). 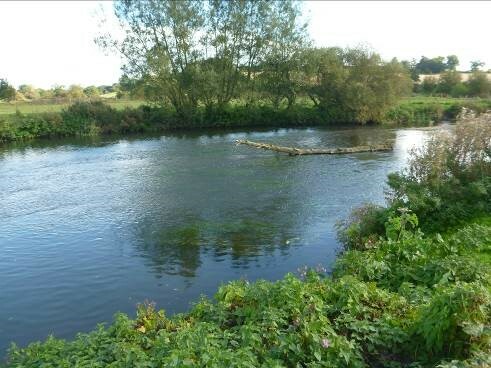 As well as weir removal, the introduction and retention of large woody material within the channel is helping to improve the natural river habitat. The partners in the project include Wild Trout Trust, National Trust, Leek & District Fly Fishing Association, Natural England, Environment Agency, Peak District National Park Authority and Trent Rivers Trust. 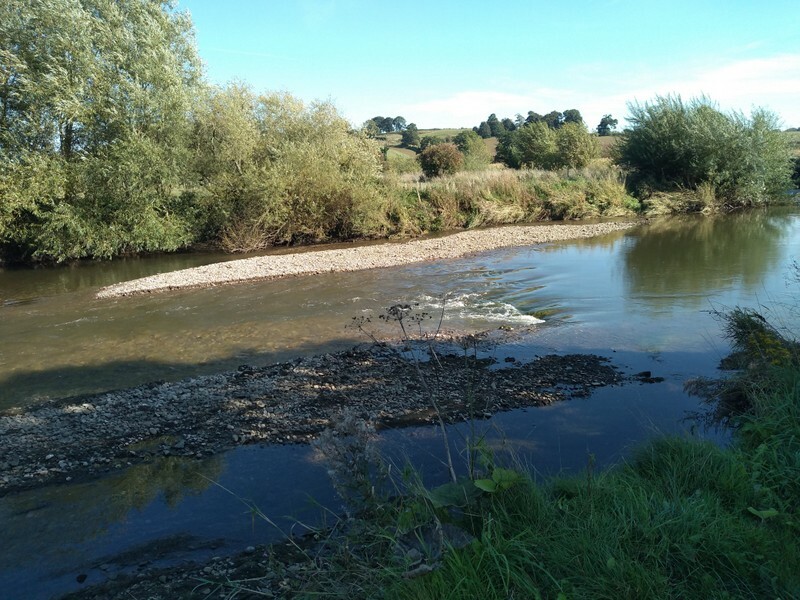 In 2016, an advisory visit by Dr. Tim Jacklin of the Wild Trout Trust (www.wildtrout.org) to the middle reaches of the River Dove, identified seven weirs along the 5-km length of river fished by Birdsgrove Fly Fishing Club (BFFC). The impoundment of water by these structures is detrimental to river habitat, fish and fly populations, natural sediment transport and fish passage. The advisory visit report stimulated a debate within the club about what could be done to improve the fishery and it was decided to work towards the removal of two weirs that had been built by the club in the 1980s. 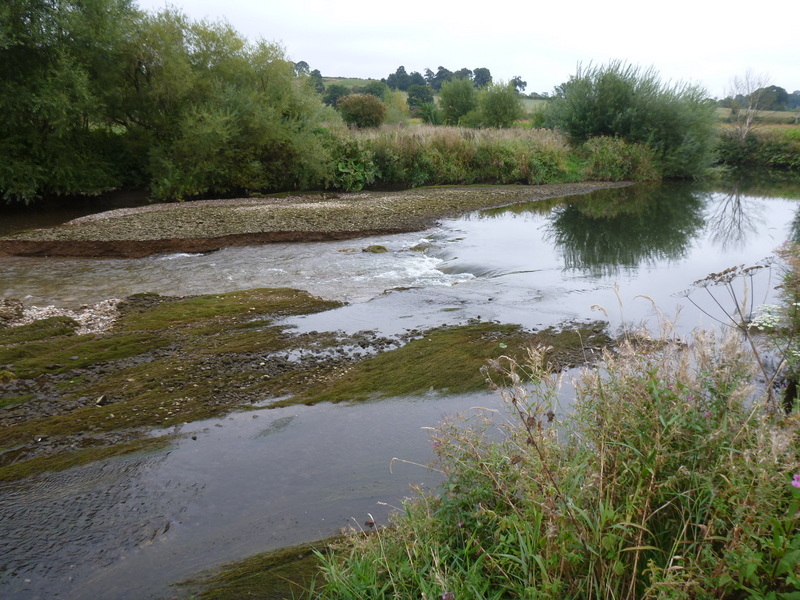 A partnership project involving BFFC, Wild Trout Trust and the Environment Agency was initiated and the two weirs were removed in the September 2017 and 2018 respectively. The larger structure, Gothard weir, was built in 1980s on the site of an older, dilapidated weir and repaired in 1993 following undermining and slumping. The original construction and repair plans indicated that it was made from wire baskets filled with stone, and large pre-cast concrete panels. As with all weir removal projects, the bulk of the work was in the planning and preparation. It took a year to carry out surveys, landowner liaison, and obtain the necessary environmental permits, but only a few hours to completely remove the structure. As predicted, the upstream water levels dropped by approximately a metre and exposed the sediment (gravel, sand and silt) that had accumulated over the many decades the weir had been in place. There was very much a feeling of “the tide having gone out” and some consternation at the dramatic effect at the first riffle upstream of the weir, where the river shrank from around 20-m wide down to a 5-m wide channel cut into the accumulated gravels. 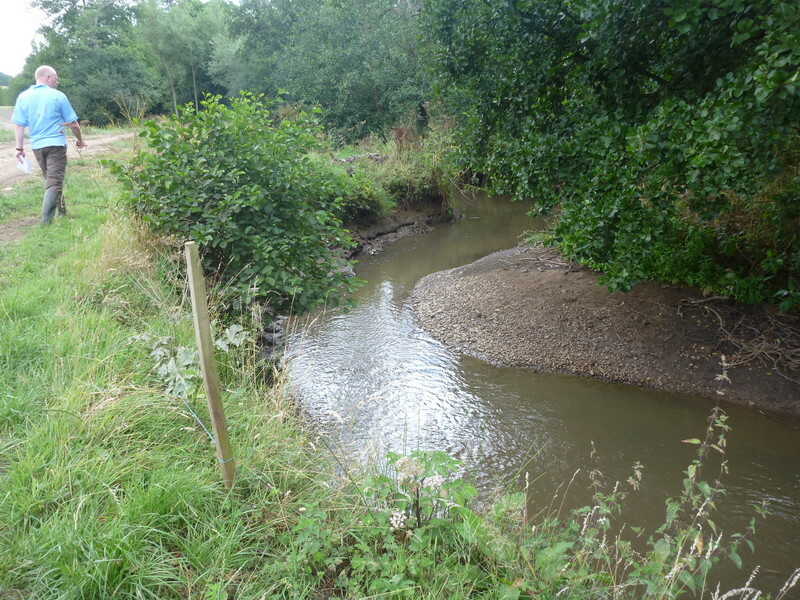 However, within a few days the river had moved more of the gravel and a week later a flush of water re-shaped the gravel deposits to a much greater extent. This process will continue over the coming months as the river “catches up” with years of stalled sediment transport. Already a new riffle has emerged upstream and several pools are developing on the outside of meanders. 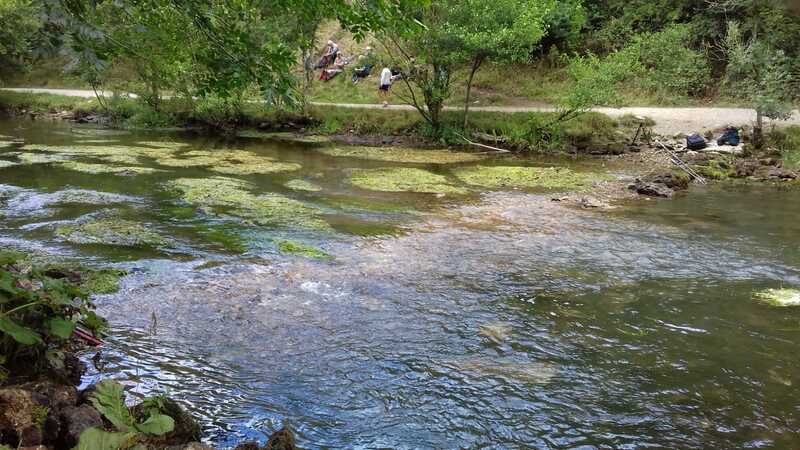 Various monitoring is taking place, including the longer term effect on water levels and gravel deposits (using automatic recorders, fixed point and time-lapse photography) and fish and fly life via angling catch returns and invertebrate kick-sampling. The Brailsford Brook is a small tributary of the River Dove. In 2015, Dr. Tim Jacklin of the Wild Trout Trust (www.wildtrout.org) visited a 2-km section at the request of the new landowner. There were 50 weirs along the course of the brook, equating to about one every 40 metres. The Bradley Brook* in its natural state is a tiny burn only a few feet wide, but money skilfully expended has converted it into a trout stream with pools and weirs. Mr. W.H. Radford, the well-known civil engineer and water authority, who owned the property at that time, was responsible for having effected the improvements, and only an expert could have done it as he did. Since the construction of the weirs, large amounts of sediment had accumulated behind the weirs and free-flowing, gravel-bedded areas where trout could spawn were absent. The fishery there had become dependent upon hatchery trout in the absence of river-born fish. 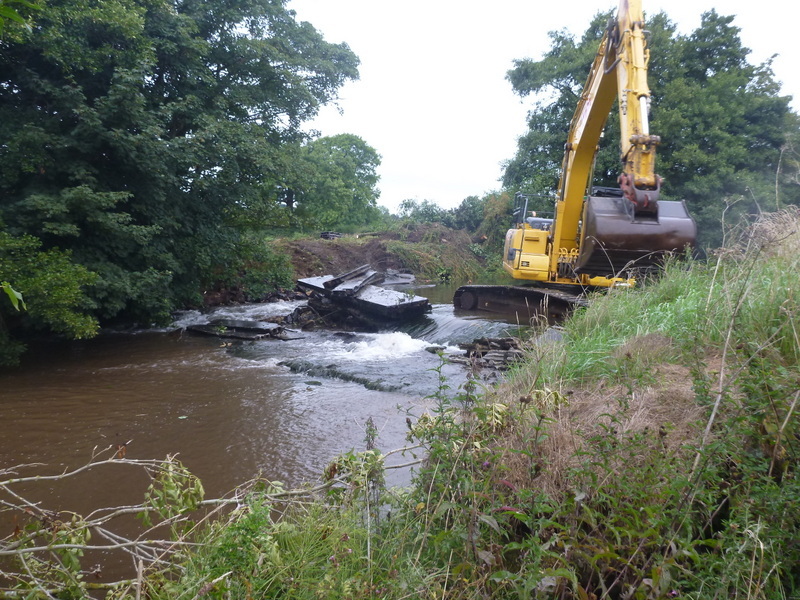 The new landowners followed the Wild Trout Trust’s advice and in 2018 removed 45 of the weirs. Those left in place (to retain a water supply to lakes, or to protect infrastructure such as a ford and a bridge) have been modified to improve fish passage. 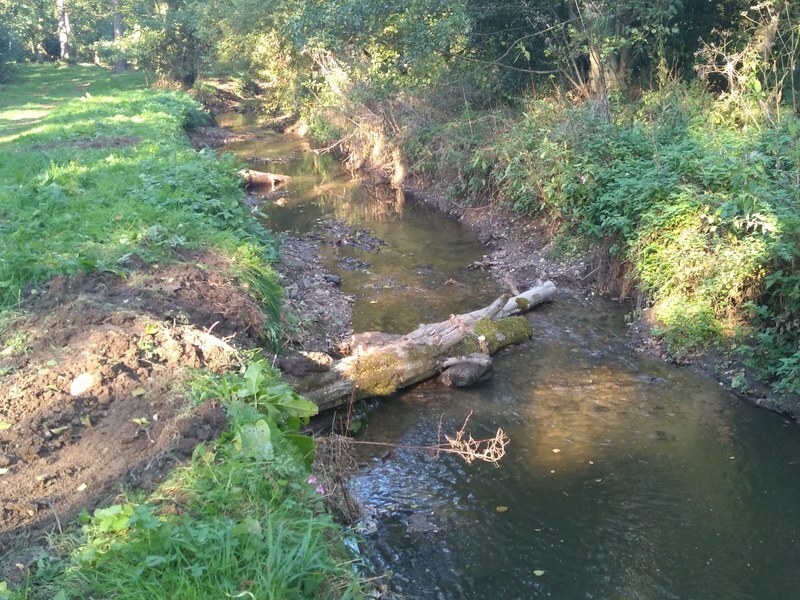 Additional habitat works, such as the introduction of large woody material, are ongoing and the aim is to restore a natural stream with a self-sustaining wild brown trout fishery. After a very dry year (2018) in this part of the UK, higher water levels are needed to kick-start natural river processes and re-distribute the century of accumulated sediments. 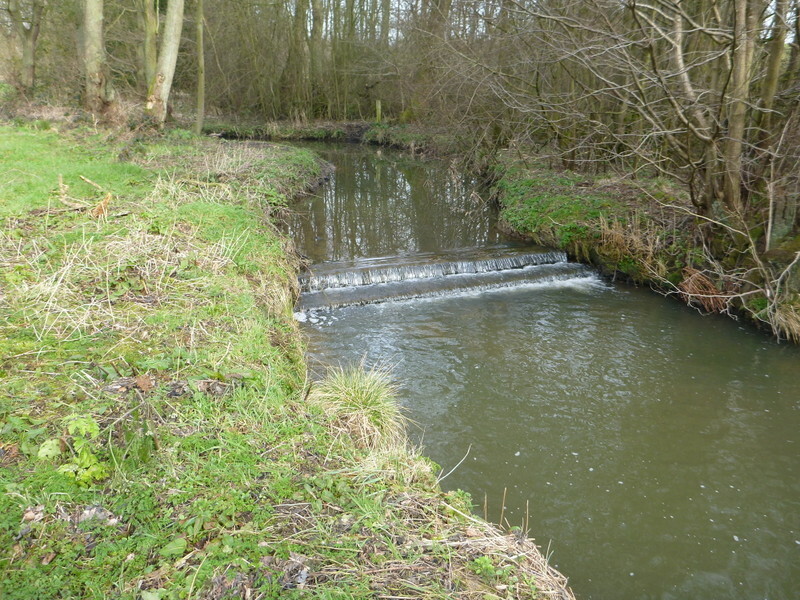 Thank you, Tim Jacklin from the Wild Trout Trust, for providing the information and pictures on these barrier removals!